MOSCOW, RUSSIA. DECEMBER 16, 2015. 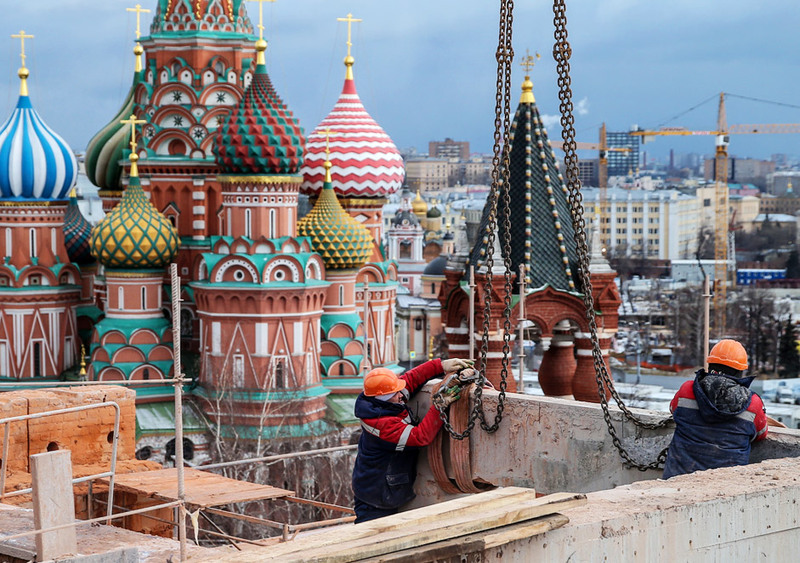 Workers seen during a demolition of Building 14, the Presidium, between the Spasskaya Tower and the Senate Building of the Moscow Kremlin.